Cumbrian causes receive more than £45,000. Charitable causes across Cumbria benefiting a number of issues including culture and heritage and health and wellbeing have received a share of £46,531. Cumbria Community Foundation awarded the money to more than 20 charitable groups at its Main Grants Panel, which takes place approximately every 10 weeks. Funding was also given to 12 individuals, 6 of which were educational course costs. The money came from 20 grant making funds, including those set up by Westmorland Ltd, CN Group and the Cumbria Victims Charitable Trust. Manna House in Kendal received £1,000 from the Fryer Grassroots Fund and the High Sheriff’s Crimebeat Fund. The grant will help ex-offenders stay out of prison by encouraging them to volunteer and work on a community garden. The charity’s Prison Outreach Programme (POP) supports clients from across South Lakeland during their time in prison, through the transition period of release and when they return to the community. The focus of this transition period will be a garden project where ex-offenders who are also care leavers will find meaningful and therapeutic activity. Cumbria Law Centre, a community-based charity and a fully accredited legal practice, received £6,999 from the Abbeyfield Carlisle Society Over 55 Community First Fund, the Older People’s Fund and the Janetta Topsy Laidlaw Trust Fund. Pete Moran, Head of Centre said: “We never charge a client for our services. This funding will provide support to over-55s who have problems in areas relating to debt, welfare benefits, housing and employment. 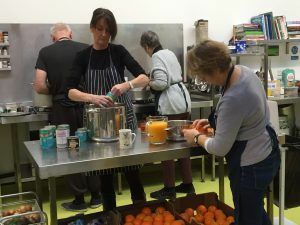 In particular, we are interested in the complications that can come from changes to the Welfare Benefits system, not least of which is the roll-out of Universal Credit. We are aware that older members of our community are more likely to struggle with online application and benefit management systems. They are also more likely have complicated circumstances involving disability and sickness benefits and, for example, Carer’s Allowance. 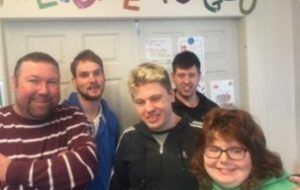 Eden Mencap Society received £7,244 from the Brian & Ann Clark Fund towards the development of a new accessible bathroom. Paul Stephens, Day Services Team Manager, said: “We are all very excited to have received the grant, it was the final funding we needed to get started with the accessible bathroom, the work will start at the end of February. Tullie House Museum in Carlisle received £856 from the Abbeyfield Carlisle Society Over 55 Community First Fund to provide a green space for the community to enjoy, learn new skills and enhance wellbeing as part of the Secret Garden project. The closing date for the next main grants panel is 2nd April 2019. For more information, visit www.cumbriafoundation.org or call a member of the grants team on 01900 825760.